All hail Elmer Fudd! At last, he’s getting some respect (like Rodney Dangerfield)—and his own video collection. 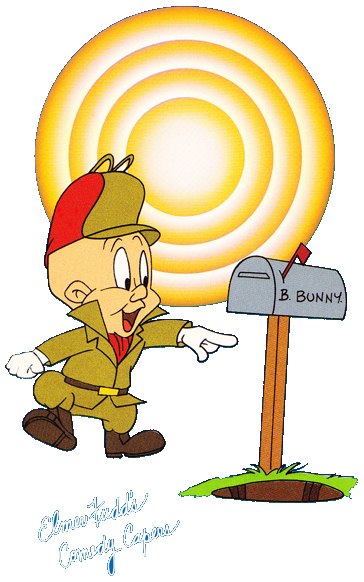 Like so many cartoon stars, Elmer Fudd went through something of an evolution on-screen. His immediate ancestor was a bulbous-nosed character named Egghead, whose silly voice was patterned after radio comedian Joe Penner. Gradually, Egghead was softened and rechristened. Radio actor Arthur Q. Bryan (a regular on the Fibber McGee and Molly program) supplied the new voice, with its comic crossing of “r” and “w,” and the west is histowy. Yes, Elmer Fudd’s taken quite a beating from Bugs Bunny and other adversaries over the years, but he’s also won a place in our hearts. He’s the unsung hero of Looney Tunes’ cast of characters and in my opinion, he’s one of the best!